An elevator adds value to your home. Help maintain that investment and ensure safe, smooth, ongoing operation by investing in a Residential Elevators Service Maintenance Agreement.  You can trust that our experienced service techs are available not only to respond to any potential need, but to also provide the preventative maintenance to keep your home elevator in tip-top shape. Our service technicians are Residential Elevator employees, trained on our systems and operations to ensure your elevator has the latest updates and enhancements. One (1) Annual Preventative Maintenance Service Call (defined as our standard 2-hour maintenance call). In the event of repairs that require additional hours, the additional labor will be charged at our standard hourly rate. It is the responsibility of the homeowner to contact RE’s Customer Service to schedule the Preventative Maintenance Service Call. All replacement parts for covered equipment will be discounted 50% off normal billing rates. Two (2) Annual Preventative Maintenance Service Calls (defined as our standard 2-hour maintenance call). In the event of repairs that require additional hours, the additional labor will be charged at 50% of our standard hourly rate. It is the responsibility of the homeowner to contact RE’s Customer Service to schedule each Preventative Maintenance Service Call. Two (2) Annual Preventative Maintenance Service Calls (defined as our standard 2-hour maintenance call). It is the responsibility of the homeowner to contact RE’s Customer Service to schedule each Preventative Maintenance Service Call. Up to Two (2) additional Service Calls if required. All replacement parts and labor for covered equipment included on each visit.